We have been locally owned for forty years, located at 1321 Coastal Hwy, Panacea, Fl, 32346 (on Hwy 98, 35 miles south of Tallahassee). Our in store selection is huge, with over 3000 rods in stock. We have live and frozen bait, marine supplies, marine and home hardware, souvenirs, you name it we just might have it. Come by Crums and see the people who know the coast for all of your fishing and boating needs. 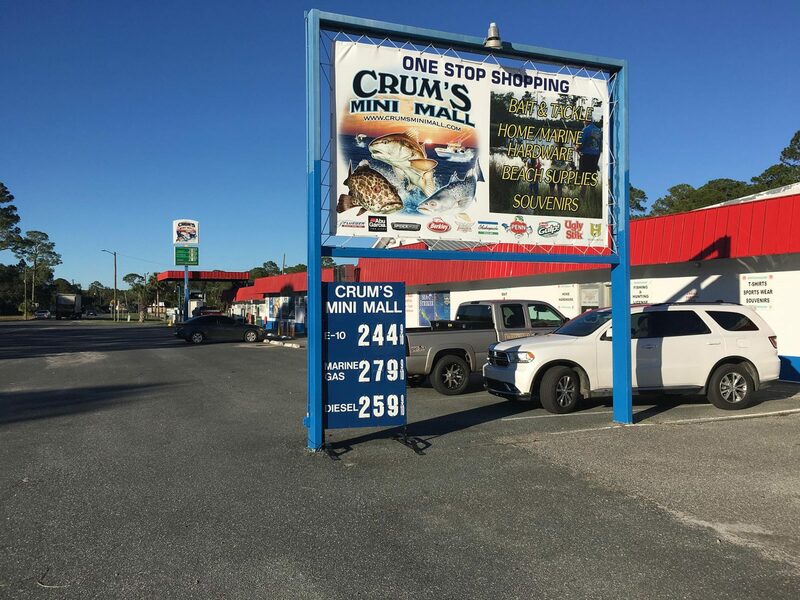 Make Crum’s your one stop shop for fishing bait, fishing tackle, hardware, marine hardware, swimwear, beach supplies, gifts, souvenirs, gas & diesel and much more.